AWARD focuses on the collaborative development and testing of protocols for responsiveness and action as part of an Integrated Water Resource Decision-Support (InWaRDS) system for compliance and early warning. Monitoring needs to be embedded in a responsive system that is linked to action and change. An example of this has been efforts to ensure continued flows in the lower Olifants during the drought of 2016. A suite of integrated water resource decision-support dashboards are being developed to guide water resource managers in making short- and long-term strategic adaptive operational decisions. Both the tools and training have been trialled in the Olifants River Catchment during 2017. A mobile app (Flow Tracker) and a desktop dashboard have been developed – a first for the region and country! 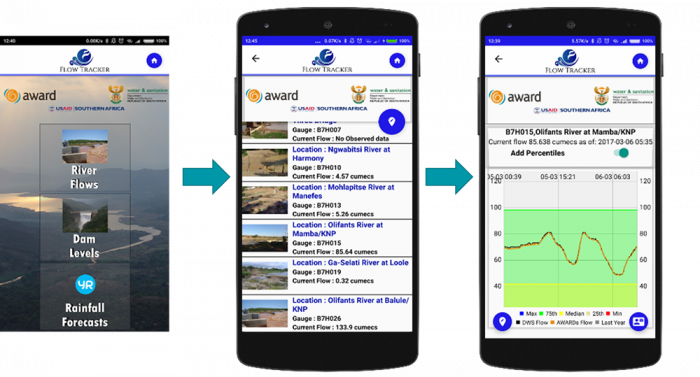 The FlowTracker mobile app tracks river flow and dam levels in real time and gives rainfall forecasts. This allows the user to track flows against the Reserve (Environmental Water Requirements). The public version of the Flow Tracker mobile application was launched in March 2017. Available at https://play.google.com/store/apps/details?id=flowtracker.award.org.za.flowtracker&hl=en. Discover more by downloading our FlowTracker informational brochure, click here. 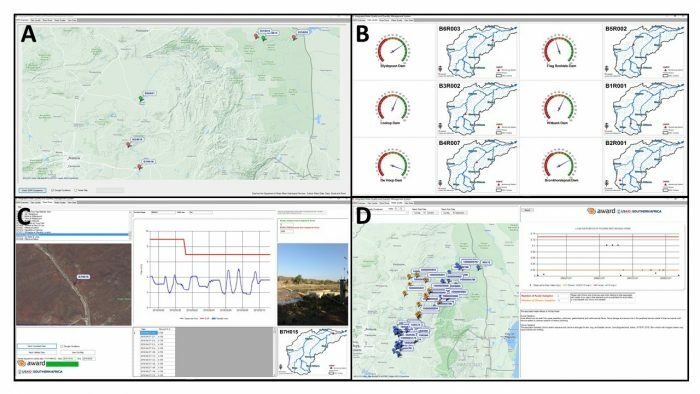 The dashboard boasts the capabilities of a rapid overview of EWR flow compliance (A), rapid dam level assessment (B), flow gauge time series compliance analysis for historical and near-real-time data (C), and a water quality assessment tool (D). Key elements of the desktop dashboard: A: EWR compliance overview where RED= non-compliance, B: Rapid dam level assessment, C: Flow and EWR analysis (in the case non-compliant), D: Water quality compliance platform. 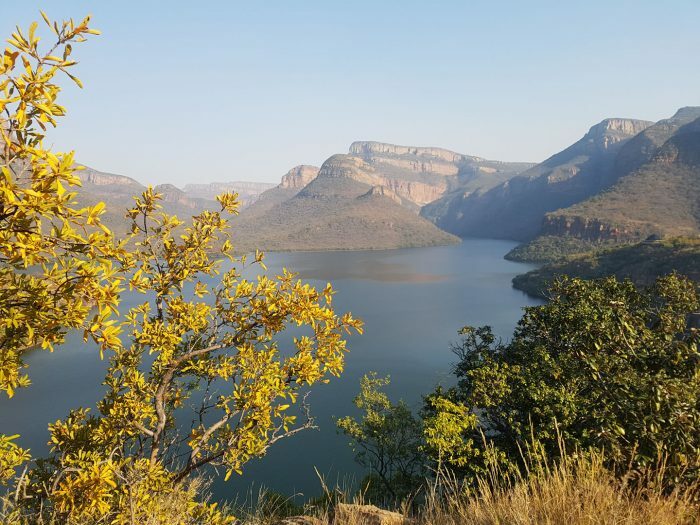 AWARD has installed data loggers for flow and water quality at key sites in the Selati and lower Olifants River. This is because data needs to be verified in real time but, as has been noted nation-wide, the gauges often malfunction due to operation and maintenance challenges. AWARD also supports DWS and SanParks in monitoring river flows. For example, we visit Oxford Bridge (B7H007) along the Phalaborwa-Hoedspruit road to take water levels at weekly intervals to support DWS hydrology staff in Pretoria.